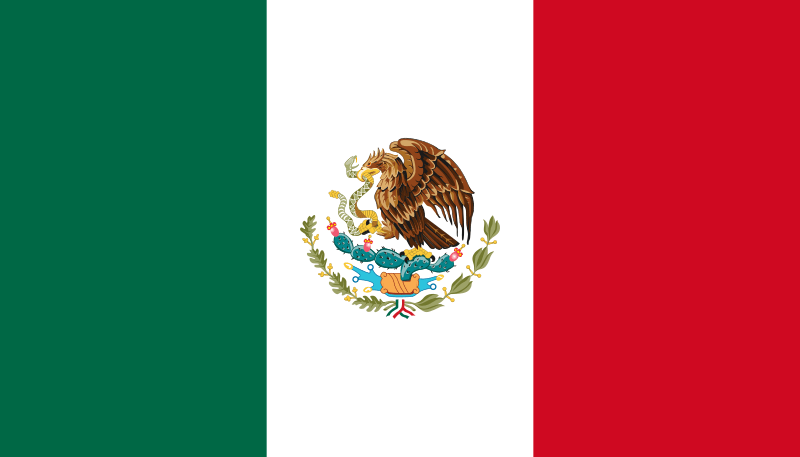 Presidential, federal congressional and gubernatorial elections were held in Mexico on July 1, 2012. The President of Mexico and the entirety of the two houses of the Mexican Congress were up for election. At the state level, seven states held gubernatorial elections. I discussed the Mexican political system, the country’s political history and the stakes of this present election in a preview post. One of the main principles of Mexican politics is that of no reelección, a sacrosanct constitutional rule since 1917 which prevents all officeholders from seeking immediate reelection. The President of Mexico, who wields power comparable to that of his American counterpart, is elected by first-past-the-post to a single six-year term and he may not ever seek the office again after his term has expired. Similarly, all 500 members of the Chamber of Deputies (three-year terms) and all 128 Senators (six-year terms) are renewed in their entirety every election because they may not seek immediate reelection. Between 1929 and 2000, Mexico was dominated politically by a party quite unlike any other in Latin America. For this 71 year period, Mexico was a quasi-single party state ruled by the Partido Revolucionario Institucional (Institutional Revolutionary Party, PRI). In most of Latin America, parties are dependent on their leaders and caudillos and are, on the whole, artificial creations created to serve the whims of their leaders. In Mexico, it was almost the other way around. While the country certainly did have some strong personalities and famous heads of state, in large part they were dependent on the PRI which emerged as a state-party. The PRI was not subservient to any single ideology, rather it followed an eclectic, pragmatic and opportunist path which alternated between left and right based on the dominant wind. After all, the same party produced Lázaro Cárdenas, one of the most left-wing nationalist leaders in Mexican history and Miguel de la Madrid, a neoliberal technocrat who liberalized Mexico’s economy. The PRI entrenched its political dominance of the country by playing the carrot and the stick, shrewdly balancing repression with concessions and enticements of various sorts to potential rivals and opponents. It built up its remarkable dominance through a corporatist alliance composed largely of the industrial working-class and the rural peasantry. But to cement its dominance, the PRI knew how to placate both sectors without conceding too much but also how to play both of them against one another. The PRI’s stranglehold over Mexican politics started weakening with the rigged 1988 election, but it was only in 2000 with the election of President Vicente Fox, from the right-wing National Action Party (PAN) that the PRI’s dominance of Mexican politics came to an end – for the moment. In 2006, Fox was succeeded by another panista, Felipe Calderón, who won the 2006 election by a very tight margin over Andrés Manuel López Obrador (AMLO), the candidate of the left-wing Party of the Democratic Revolution (PRD). This frontrunner in this year’s election was Enrique Peña Nieto of the PRI, the 45-year old former governor of the state of México (Edomex, one of the most populous in the country). Peña Nieto is an image-perfect, media savvy, pop-star politician. He is not particularly talented, he has always been very low on substance and has a reputation as being an intellectual lightweight; but he is charismatic, handsome and particularly resistant to attacks and even his own gaffes. Peña Nieto is nonetheless a controversial and somewhat polarizing character. He has been suspected of corruption, including a financial deal with media giant Televisa in return for favourable media coverage. His record while governor of Edomex is a subject of much debate, though it seems to have been neither the great success he bills it as or the unmitigated disaster his opponents say it was. His personal life is also the subject of much talk and some controversy. His first wife died in 2007, in circumstances so unclear that some suspect he might have killed her, but by then he had already fathered two children out of wedlock with two other women (in addition to three children with his first wife) and only three years after his wife’s death, he married Televisa soap opera star Angélica Rivera. At any rate, however, Peña Nieto led by far the most successful and competent campaign. The PAN’s Josefina Vázquez Mota was no match for him and even the PRD’s AMLO, running a more moderate campaign after his very left-wing campaign in 2006, did not really stand a chance. Major student-led protests against the PRI, Televisa and Peña Nieto (the #YoSoy132 movement) did not really dent Peña Nieto’s significant advantage in the polls, and neither did fears of a priista resurgence only twelve years after its 71-year dominance was toppled in 2000. Because official results will take a few more days, here are the preliminary results (with 98.95% having reported ‘in time’ for the closing of the PREP) from the IFE’s unofficial rapid counting election night system (the PREP). This is not quite ideal, because if the presidential results will change only cosmetically (but two states could ‘switch’ with final results), the PREP does not give us the full composition of the new Congress because it doesn’t include the PR seats in both the Chamber and the Senate. But Google Politics continues to prove itself as the best thing to come out of the year 2012. Unsurprisingly, Enrique Peña Nieto emerged as the winner by a fairly comfortable (albeit somewhat narrower than expected) 6.5% margin over his closest rival, AMLO. Throughout this campaign, Peña Nieto’s victory was never placed in serious jeopardy. He led in basically every single poll for over a year before the election and was always the man to beat in this contest. His victory marks the PRI’s return to executive power in Mexico twelve years after its dynastic hold on Mexican politics was ended in 2000. Many could have thought that a party like the PRI, with its style of non-ideological corporatist, corrupt and semi-authoritarian politics, would not survive its defeat in 2000 and would lose its dominant place in Mexican politics. After the 2006 election, in which the PRI’s horrible presidential candidate placed a distant third with only 22% of the vote, the PRI was in a very tough spot. The PRI and Peña Nieto’s victory reflects, first of all, the continued power and influence of the PRI. Whatever one may think of the PRI, it has, in part, managed to give the appearance of having reinvented itself. Peña Nieto could possibly be nothing more than a stooge for corrupt PRI dinosaurs, but he gives the image of being one of a new generation of priista politicians: young, charismatic and more technocratic than kleptocratic. Peña Nieto is not really comparable to the corporatist, statist, corrupt and authoritarian PRI leaders of the 1970s, he is more comparable to Ernesto Zedillo, the last PRI president, under whose presidency the party turned away from its archaic traditions and the country moved towards genuine liberal democracy. Peña Nieto proved to be, regardless of what can be said about him, a strong candidate and campaigner. His ability to deflect damaging incidents and attacks is quite remarkable, given that his campaign could have feasibly stumbled more than once in the past few months. For a lot of voters, Peña Nieto also had a likable personality: young, good looks, a flashy personal life and a good deal of charisma. He was perfectly groomed to appear as image-perfect, continued his photo-op ‘micro-promises’ which marked his tenure as governor, spoke in simple terms, and promised vague but attractive reforms and changes. Unsurprisingly, the anti-Peña Nieto and anti-priista movements seems to have remained a phenomenon of the urban middle-classes, young students, the blogosphere/twittosphere and the peredista base in the DF. It did not really impact or influence poorer voters in rural areas, less educated and probably far less aware of the internet’s activity against Peña Nieto. The PRI has also remained a powerful political machine. It controls a vast majority of states, and its political machine remains, on the whole, well-oiled and influential in basically every part of the country besides Mexico City. But the PRI also quickly learned its lesson from 2006, when the party was dealt a very major blow thanks to a very bloody internal civil war and a terrible presidential candidate loathed by half the party to begin with. Unlike the PRD or even the PAN, since 2006 the PRI has given the appearance of a united party, which has the good taste of not hanging its dirty laundry in public anymore (for now). It certainly benefited from this in the 2009 midterms, which were in many ways foretold this year’s election. Peña Nieto also owes part of his victory to his two main opponents, the PAN and the PRD. This election, twelve years after the great hopes for fundamental changes and a break from the dirty past which accompanied Fox and the PAN’s original victory in 2000, represents the disillusion of a country with these promises and optimistic hopes. Fox and Calderón will probably not go down in the history books as particularly bad or incompetent leaders; both had their fair share of achievements while in office and certainly left at least one or two positive marks on Mexican history. However, they certainly did not live up to expectations. The endemic corruption which has permeated Mexican politics from the beginning was not rooted out, and remains a major problem. The inefficiencies of public and private monopolies in various sectors have not been resolved and they continue to weaken Mexico’s economy and its global economic competitiveness. Efforts to reform Pemex, the public energy monopoly, by opening it up to private investment have failed one after the other, leaving Mexico’s energy sector in an ever-precarious position. The public education sector remains a mess of corruption, waste, inefficiency and patronage. If the past government originally had any hopes of curbing violence, a long-standing problem in Mexico, it certainly did not achieve that. The past six years were marked by a very public war against drug cartels, which killed over 50 thousand individuals yet failed to significantly weaken the powerful drug cartels. It would be unfair to blame only Presidents Fox and Calderón for these disappointments. While the PAN could certainly have showed more willpower and courage in dealing with certain issues (notably against the SNTE, the all-powerful teachers’ union), or could have been served by more conciliatory relations with opposition parties like the PRI in Congress, a fair number of the disappointments of the past twelve years have been also due to circumstances beyond the control of these two men. Mexico’s recession in 2009 was wrought by the collapse of American banks and a spell of slow growth between 2000 and 2003 was due to Chinese competition. The drug cartels are so huge, powerful and global that they could not realistically be destroyed by Mexican military action. The PAN also faced a divided and often deadlock Congress (which it did not always control) and more assertive state governors, unlike the PRI which, between 1929 and 1997, always controlled an absolute majority in Congress. Regardless of who is to blame, the reality is that most voters feel disappointed by twelve years of panista governance. The mood was eager for change. 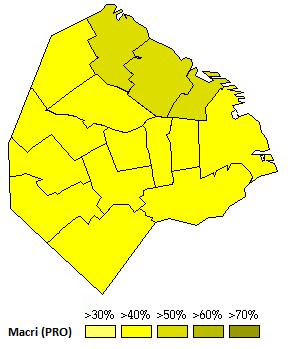 In this situation, PAN candidate Josefina Vázquez Mota stood no chance. Despite her attempts to describe herself as ‘different’ or to warn voters against the dangers of the PRI, she was unable to detach herself from a fairly unpopular party which has done its time. Vázquez Mota placed third, as expected, with only 25.4% of the vote. This is the natural result of a poorly managed campaign and her fairly low notoriety, but also the inadvertent results of some strategic voting against the PRI. Andrés Manuel López Obrador, the charismatic champion of the Mexican left, won 31.6%. A lower performance than his performance six years ago (35.3%), but overall still a fairly honourable finish by AMLO, impressive considering that he owed some of his success in 2006 to the PRI’s quasi-obliteration. It is quite possible that AMLO benefited from some strategic, anti-PRI voting from panista voters. AMLO is certainly not one who would normally motivate strategic voting from the PAN, even if it is against the PRI, but AMLO’s results outran the PRD’s congressional vote share by about 5%. It is possible, indeed it is fairly likely, that some particularly anti-priista PAN voters voted for AMLO, despite everything, because he was the strongest candidate against the PRI’s Peña Nieto. A poll showed that Vázquez Mota had the weakest retention of her party’s voters, with ‘only’ 85% of PAN voters having voted for her. However, Peña Nieto’s victory also reflects either disappointment or unease about the PRD, which in the 2006 presidential and congressional elections emerged as the strongest opposition to the PAN. If it must be repeated, AMLO’s behaviour after the 2006 election, which he denied the legitimacy of and declared himself as the ‘legitimate’ President, backfired against him. His refusal to submit to the popular will in a closely fought but ultimately transparent election and his lack of respect for democratic institutions significantly hindered his image and scared off a lot of voters. His rebranding as a calmer, more reasonable and less ‘scary’ moderate did not have much success. AMLO, buoyed by his trademark populist charisma, maintains solid and motivated base of support but also has a large crowd of voters who cannot stand him, inherited from his 2006 behaviour. Even if his performance after the PRD’s rout in the 2009 midterms is quite honourable, the Mexican left in its contemporary lopezobradorista form, has been dealt another defeat. It did not manage to sustain itself as the main alternative to the PAN. The PRD must imperatively reinvent itself if it wants to achieve power in 2018. AMLO, like a self-parody and a broken record, has once again refused to recognize this election and has announced his intention to contest the legitimacy of this election, citing fraud and manipulation. In 2006, he originally had a capital of sympathy and support backing his allegations of fraud (which started evaporating when he blockaded a main road in the capital), but at this point his shenanigans only confirm his reputation and serve to paint him as a sore loser. He is demanding a full recount, and he may have a point in talking about inconsistencies, but ultimately he didn’t win. Even if Peña Nieto’s victory is fairly comfortable it is not quite the landslide which some had predicted. He won by 6.5%, a margin which cannot be contested, but which is on the fairly low side of his polling numbers in the past few weeks. I’m not sure if this could qualify as an underwhelming or even Pyrrhic victory, but it is certainly not as convincing as a double digit win would have been. From these numbers, I think that if Mexico City mayor Marcelo Ebrard had been the PRD candidate, he would have had a very solid chance at actually defeating Peña Nieto. Ebrard leaves office extremely popular, and his candidate for Mexico City mayor won over 63% of the vote (far more than what AMLO won at the same time in the capital). He is also a fairly moderate, social democratic centre-leftist for whom a fair number of PAN voters, save the clerical ones, could easily stomach voting for to stop the PRI (unlike with AMLO). Ebrard could have potentially achieved, in reality if not on paper, a PRD-PAN alliance at the top level to prevent the PRI from winning the presidency. AMLO is a much too controversial and polarizing character for such an alliance to be formed, even informally. The full composition of the new Congress is not yet known: but it is certain that the PRI, even with the PVEM, will have fallen short of an absolute majority in Congress. El Universal, one newspaper among others, has its own projection of the final composition of both houses. In the Chamber, it predicts 232 seats for the PRI-PVEM block against 140 seats for the PRD-PT-MC block, with the PAN winning only 118 seats and 10 seats for PANAL. In the 2009 midterms, the PRI-PVEM block won 258 seats (an absolute majority) against only 90 for the PRD-PT-MC block and 143 for the PAN. In the Senate, it predicts 57 seats for the PRI-PVEM, 41 seats for the PAN, 29 for the PRD-PT-MC block and 1 seat for PANAL. The outgoing Senate had 50 PAN senators, 39 PRI-PVEM senators, 36 PRD-PT-MC senators and 2 PANAL senators. It is interesting to compare the national results for Congress and the presidential results. This is, of course, only a partial image because the voting patterns and differences varied quite a bit from state to state. At a superficial national level, Peña Nieto apparently outran the PRI-PVEM by a short margin. AMLO clearly outperformed his party, at least in terms of raw national vote shares: he won 31.6% nationally, but his block won only 27% of the congressional vote. In contrast, Vázquez Mota underperformed her party by about 1% while Quadri clearly underperformed PANAL’s congressional results (which – in passing – allow the party to, once again, save its registration). I would shy away from taking too much out of this trite quantitative analysis, given that when you look at the state level, there are clear indications that ticket splitting was quite commonplace in a good number of states (Baja California, especially in the Senate, being the top example). In the lower house, the PRI and PVEM had an alliance in 199 out of 300 constituencies and it triumphed in 123 of these constituencies. The PRI and PVEM ran separately in the other constituencies, the PRI winning in 51 of these contests while PVEM candidates managed to win three direct seats (by beating, notably, PRI rivals) – all of them in Chiapas. I’ve amused myself at spotting differences between the presidential results by constituency and the results of the direct vote in each seat. The differences are not huge, but some states stick out for ticket splitting. The PAN did significantly better than its presidential candidate in Baja California Sur, Sonora and Puebla (in the city proper). The PRD, in contrast, did not do as well as AMLO in states such as Quintana Roo, Puebla and Veracruz. In Michoacán, it was the other way around: the PRD candidates did better than AMLO. Incidentally, Michoacán is the home state of the old PRD boss, Cárdenas, and used to be a PRD stronghold. 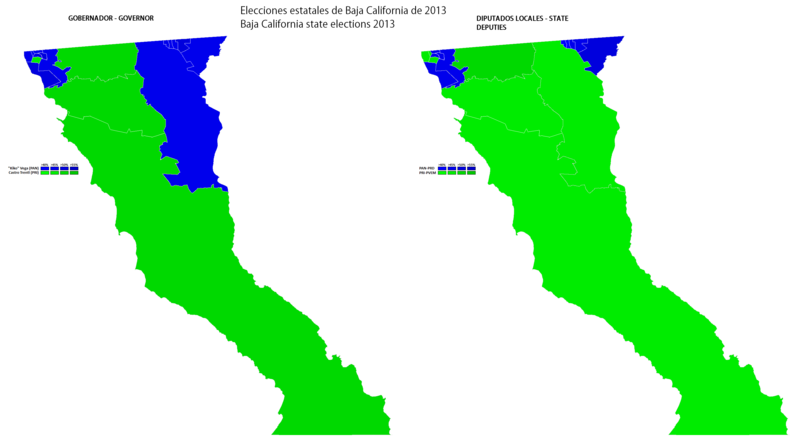 In the Senate elections, which I don’t know much if anything about, there seems to have been some significant ticket splitting in certain states, Baja California being a great example: the PAN did terribly in the presidential and lower house vote there, but held on in the senatorial contest. Manuel Bartlett, the guy who rigged the 1988 election against the PRD, was defeated running as the top candidate on the PRD slate in Puebla. In Quintana Roo, the PRI-PVEM slate headed by el niño verde (the Green kid – the leader of the PVEM who is the son of the party’s founder) placed first. State elections proved quite interesting. In the much-talked about mayoral race in the DF (Mexico City), Miguel Ángel Mancera, the PRD candidate and a ‘proxy’ for incumbent mayor Marcelo Ebrard, won 63.56%. Beatriz Paredes, the PRI candidate, placed a very distant second with 19.75%. Mancera’s record-smashing win for the PRD in the capital confirms the growing gap between the cosmopolitan and socially liberal Mexico City and the rest of the country, which elected a priista President. But Mancera’s victory is also reflective of Ebrard’s popularity in his city. Mancera outran AMLO by over 10% in the city and swept every district of the city, including traditionally panista upper middle-class districts downtown. In Chiapas, governed by the PRD for two successive mandates (though the current incumbent is basically a priista), PVEM Senator Manuel Velasco Coello, backed by the PRI, was elected governor in a massive landslide, with 67% of the vote against 17.6% for the PRD candidate. Velasco, who seems to be a local carbon copy of Peña Nieto (young, soap opera star girlfriend), benefited from the support of the term-limited PRD governor and rode a wave of change in the state which swept out the PRD at all levels. It is interesting to point out that the election of a Green (well, more like a ‘Green’) governor in the state had an impact on other races: Peña Nieto won 19.2% on the PVEM ballot line (Mexico has some sort of fusion voting like New York state and a few other American states), the PVEM won three house seats, and the PVEM ballot line got 24.8% in the senatorial election (a PRI-PVEM common slate). Velasco himself got 28.8% of the vote just on the Green ballot line. In Guanajuato, PAN candidate Miguel Márquez Márquez managed to keep this panista bastion in the PAN’s column. He won 48.3% of the vote against 40.9% for Juan Ignacio Torres Landa, the PRI-PVEM candidate. The PAN has governed the state since 1991, making it one of the PAN’s oldest core strongholds. Vicente Fox served as governor in this state before becoming President. A PAN defeat in this stronghold would have been an unwelcome humiliation for the party. In Jalisco, governed by the PAN since 1995, the young PRI mayor of Guadalajara, Aristóteles Sandoval – another Peña Nieto-like priista – was elected with 38.8% against 34.1% for a former panista running on the MC slate. The official PAN candidate won only 19.9% of the vote. Jalisco is a fairly important state and it has traditionally been a PAN bastion, making this PRI victory a fairly significant one. The PAN also lost the state of Morelos, a small state south of the DF which it first won in 2000. PRD Senator Graco Ramírez won 43.3% of the vote against 34.7% for the PRI-PVEM candidate. The PAN placed a distant third with only 15.1%. The race had been closely disputed between the PRI and the PRD, but the PRI was thought to have a small edge, so this is welcome news for the PRD. Also welcome news for the PRD is the result in the state of Tabasco, which had never elected a non-PRI governor. Tabasco is the home state of AMLO, who lost a likely rigged gubernatorial election in 1994 to Roberto Madrazo of the PRI. The 2000 gubernatorial contest was so rigged that it was finally annulled by the courts. But it was generally assumed that the PRI would manage to hold the governorship. There seems, however, to have been a strong anti-PRI movement at all levels on the ballot here. The PRD’s Arturo Núñez Jiménez won 51.4% of the vote against 43.8% for the PRI-PVEM candidate. In Yucatán, the PRI’s Rolando Zapata held on to the state, which has been governed by the PRI since 2007, when it gained it from the PAN which won the state in 2001. Zapata won 50.6% of the vote against 41.3% for the PAN candidate, a better than expected showing for the PAN. Mexico’s electoral geography and voting patterns are a complex topic for an outside observer like me. From my little knowledge or experience with Mexican voting patterns, state lines remain a very important determinant in voting behaviour. Indeed, state-by-state voting patterns are heavily conditioned by the local strength and history of the two old opposition parties (PAN and PRD) but also by the popularity of the incumbent state government. Hence, Mexican voting patterns appear, to me at least, as being remarkably unstable. 2006 produced a fairly neat north-south split, with Calderón sweeping the north and AMLO being dominant throughout most of the south and the centre. But this was fairly illusory, and based more on the bizarreness of the 2006 election and the historical implantation of the PRD than anything else. It hid the fact that a lot of the northern states were and still are, in good part, strong states for the PRI where the PRD has never gained a foothold. This year produced a fairly weird map. Peña Nieto’s support was fairly evenly spread out throughout Mexico except for the DF, which has often been the case. The PRI’s support this year, as in the past, tended to be more rural than urban. A poll showed that, unsurprisingly, Peña Nieto found his strongest support with women, rural voters, less educated voters and older voters. Peña Nieto won 43% in Edomex, his home state, and nearly 60% in his hometown district. On the other hand, Peña Nieto struggled in a lot of urban areas, first and foremost the capital city. AMLO dominated, as in 2006, in Mexico City, where he was mayor between 2000 and 2005. He won 52.8% of the vote in the DF this year, which, as aforementioned, is significantly less than what the PRD’s mayoral candidate won at the same time. Mexico City clearly, unmistakably, stands out from the country. It is a fairly affluent, highly educated, quite young and certainly very cosmopolitan metropolis which has long been a redoubt of left-wing opposition to the PRI. The DF is basically one of the only states where the PRI seems to totally lack any semblance of an old machine or political base. Nothing too surprising, however: polling has shown that AMLO was the favourite for the youngest voters and the most highly educated segment of the electorate. With 34.1%, AMLO placed a fairly strong second in Edomex, holding on to the PRD’s base in Mexico City’s impoverished working-poor suburbs, notably the PRD stronghold of Nezahualcóyotl. His strongest state, however, was his home state of Tabasco, where he won 59% of the vote (an improvement over 2006 actually). The 2006 results in Tabasco are clouded by the fact that the PRI’s candidate, Roberto Madrazo, was also from there and had a significant favourite son vote (Peña Nieto actually did worse than Madrazo there). But Tabasco also seems to have had an anti-PRI wave this year, which allowed the PRD to win the governorship (the first time ever) and do well in downballot races. AMLO also did quite spectacularly well in Guerrero (46.7%), Oaxaca (43%) and Puebla (34.6%) which are three old PRI strongholds. The PRD won a second successive gubernatorial mandate in Guerrero last year, while the PRD gained the states of Oaxaca and Puebla, which had never had non-PRI governors before, in 2010 through an alliance with the PAN (Oaxaca has a PRD-MC governor, Puebla has a PAN governor). It would certainly appear as if AMLO’s strong performance in these states this year has something to do with the popularity of their incumbent governors. On the other hand, AMLO did poorly in four other states which had usually been counted as PRD strongholds: Baja California Sur (third place, 24.9%), Zacatecas (24.6%), Michoacán (31.3%) and Chiapas (31.3%). All these states had PRD governors until recently – the PRD just lost Chiapas after two terms, it lost Baja California Sur to a panista (who is still a former peredista) in 2011, it came third in Michoacán (the Cárdenas family state) in the last state elections there late last year and lost Zacatecas to the PRI in 2010. Chiapas certainly had a major anti-PRD swing this year, while the PAN scored impressive results in Baja California Sur (but did terribly in Baja California, its first stronghold) – perhaps the results of its victory in the state in 2011? In Michoacán, AMLO has always struggled to catch the personal vote which flowed to the state’s native son Cárdenas up until 2000. In Zacatecas, which used to be a PRI stronghold until the PRD gained it for a while, it seems as if the PRI governor might be quite popular or something. Vázquez Mota’s map is definitely quite weird. She did very well, all things considered, in Tamaulipas and Nuevo León, where she placed first with 41.8% and 39.8% respectively. Nuevo León has had a PAN governor in the past (but currently has a PRI governor) but Tamaulipas has usually been a PRI stronghold – I don’t think it ever elected a PAN governor. In Tamaulipas, Vázquez Mota did best in the maquiladora towns lining the US border (Nuevo Laredo, Matamoros) while in Nuevo León she won thanks to her strength in the state capital, Monterrey (where the PAN has always been strong). The PAN likely benefited from the unpopularity of the PRI incumbents in these two states, whose poor security record (these states are part of the frontline for the drug wars) might have hurt the PRI locally. In Nuevo León, the PRI governor, Rodrigo Medina, is particularly unpopular and has been criticized for his security policy. Vázquez Mota also did quite well in Coahuila, another longtime PRI stronghold on the northern border. Vázquez Mota prevailed in Guanajuato, governed by the PAN since 1991. Guanajuato is an industrial state in the traditionally Catholic (in the 1920s, the cristeros war was fought in this general region) and politically right-leaning regions of western Mexico. However, she was defeated in Jalisco, a similarly Catholic and fairly industrialized state where the PAN has usually been strong. As aforementioned, the PAN lost the governorship of this state which has been hit by the drug war. On the other hand, the PAN won some horrible results in other parts of the country. Baja California was horrible. Vázquez Mota placed third, behind AMLO, with only 27% of the vote. The state used to be the panista stronghold par excellence, having been the first state to be won by an opposition party when the PAN conquered the governorship in 1989 and held on to it since then. The PAN can take solace in its strong showing (29.7% in the presidential race, strong results in the house election) in Baja California Sur, the sparsely populated southern end of the peninsula which had, until 2011, been a fairly solid PRD state. But with a gubernatorial race scheduled for August 2013 inBaja California, the PAN’s hegemony in the state is put into serious jeopardy. Enrique Peña Nieto will take office on December 1, 2012 but the new Congress will be taking office as early as September 1. Peña Nieto has a tough road ahead of him, as the country faces many challenges. He has called for national unity and promised significant reforms, though he has rarely given substantial details. In fact, most of the reforms he promises are not all that different from those reforms which Calderón promised in 2006 but failed to live up to. The PRI has signaled that it would like to pass a major fiscal/tax reform and a deregulating labour law reform before Peña Nieto is to take office. The PRI will lack a congressional majority on its own, meaning that it too will be forced to look to other parties – either the PAN or the PRD – for support for its legislative agenda. A lot of reforms require a two-thirds majority, so the PRI will also need to deal with the PRD as well as the PAN. One of Peña Nieto’s main priorities will likely be a major reform of Pemex, which would allow for partial private investment in shale oil and gas, refining and petrochemicals. He will need, I think, a large majority in Congress in order to achieve this reform, which is seemingly backed by the powerful petroleum workers’ union (which was very pro-priista in this election). The PAN tried and fail to pass such reforms in the past, but usually had to settle on piecemeal reforms which ultimately didn’t change much. Such a reform would certainly be warmly welcomed by foreign investors, and could prove beneficial for Pemex, which is in dire need of private investment if it is to invest in new technologies and further explorations. The drug cartel conflicts and the violence which has plagued Mexico for years now was a major issue in this election and will be a major issue on Peña Nieto’s agenda. Officially, Peña Nieto has not indicated that he would significantly alter Calderón’s heavy-handed strategy. He could be shifting gears a bit, however, in favour of a slightly less aggressive approach which focuses on reducing violence and murders while not necessarily going all-out after the empires which are drug trafficking and the cartels. While he has firmly rejected any negotiations or talks with individual drug cartels, many believe that Peña Nieto could secretly negotiate or even pay certain drug cartels in order to buy peace or eliminate other cartels. Above all, there are widespread fears both in Mexico and abroad that the man who some call “Mexico’s Vladimir Putin” will work to undermine Mexico’s democracy from within. Some have styled his victory as the return of the old guard to power. I do not really buy the doom-and-gloom scenarios whereby Peña Nieto’s victory spells major trouble for Mexico’s democracy.Mexico has changed since 2000, and the political culture is now quite accustomed to vibrant multiparty democracy and independent institutions. Corruption, collusion between private interests and political interests, sleazebag politicians and restrictions on personal freedoms are no longer accepted or tolerated in the same way as they were in the past era(s) of PRI dominance. The #YoSoy132 movement, but also the major concerns about media bias and human rights abuses are reflective of this new political culture, which has changed significantly since the 1990s and which is not ready to idly stand by and accept democratic abuses and transgressions. To point out the obvious, the PRI also lacks a congressional majority, meaning that in basically everything it tries to do, it will need to collaborate with opposition parties. And while the PAN could be ready to support some of Peña Nieto’s free-market reforms, neither it nor the PRD will be docile and passive opponents – unlike the charades which pass as opposition parties in Putin’sRussia. At this point, President “Ken Barbie” must now prove that he is up to the job, and lives up to the expectations placed by some voters in him. He has promised things such as an ‘efficient state’, but will he prove to be more efficient than the PAN was in dealing with Congress? But, above all, will he be able to restore a semblance of security and rule of law throughout Mexico, further instill democratic principles in a still fairly new democracy, and promote economic growth? Only time will tell. This post will (hopefully) be updated with final results as the votes are counted (and recounted). Federal general elections will be held in Mexico on July 1, 2012. Alongside the President of Mexico, the entirety of both houses of the General Congress will be up for election. Seven states will hold gubernatorial and local legislative elections simultaneously; another six states will be holding municipal and local legislative on the same day. The President of Mexico is elected by popular vote to a six-year term. The Mexican constitution of 1917 is largely modeled on the American constitution, thus the Mexican President has powers comparable to that of the American President. This has been the case since 1997 or 2000, when political reforms and a sea-change in the nature of Mexican politics rendered the President less hegemonic vis-à-vis Congress and other federal and state institutions. One of the main principles of Mexican politics, inherited from the Mexican Revolution and enshrined in the 1917 constitution, is that of no reelection (no reelección), which prevents the President of Mexico from succeeding himself. The President may not even serve non-consecutive terms. There have been some major proposals to allow for presidential reelection, but by and large, the Mexican political class holds this principle as a sacrosanct one. The second peculiarity of the Mexican presidency is that the president is elected by first-past-the-post, with no runoffs. In the 2006 election, the winning candidate won with only 35% of the vote, and the contested and feeble nature of this mandate has led to numerous proposals to switch to a system of runoff voting, though bills to change the electoral system in this regard have not been successful to date. The General Congress of Mexico is composed of two houses: the Chamber of Deputies (Cámara de Diputados) and the Senate (Senado). Both houses, which are directly elected, are equal in their legislative capacities. The principle of no reelection does not only apply to the President in Mexico: deputies and Senators may not seek immediate reelection, meaning that every legislature is entirely renewed compared to the last. The Chamber of Deputies has 500 members elected for a three-year term. 300 of these members are ‘majority representatives’ elected by FPTP in single-member constituencies. The other 200 members are elected by party-list proportional representation in five super-constituencies which elect 40 members each. Since 1996, there is a rule which places a limit on the size of the majority a party can win: a party cannot get more seats than 8% above its popular vote (hence, a party can win an absolute majority with 42% of the vote) and it can win no more than 300 seats in the Chamber even if it has won over 52% of the vote. One of the Chamber’s main exclusive prerogatives is examining, reviewing and approving the federal revenue and budget. The Senate has 128 members elected for a six-year term. 96 Senators are elected to represent Mexico’s 31 states and theFederal District, with each state and the DF returning three senators each. 64 of these senators – or two of the three seats in each state – are awarded to the party or coalition which has won the most votes in the state. The remaining 32 seats – the last seat out of the three seats in each state – are given to the party which has placed second in the state. An additional 32 Senators are elected by proportional representation. The Senate has some exclusive powers over foreign policy and diplomacy, and it also has a special responsibility as an agent of oversight on the executive. The dominance of a single party, the Institutional Revolutionary Party (Partido Revolucionario Institucional, PRI), for 71 years between 1929 and 2000 has left a profound mark on Mexican politics and has contributed, in large part, to shaping the Mexican party system and forming Mexican political traditions. Mexico stands out in the post-Revolution era from other Latin American countries for its remarkable political or at least institutional stability in the hands of a single party. Unlike in other Latin American countries whose political history in the past hundred years have been marked by a succession of military coups, authoritarian military regimes, unstable democratic experiments and the general absence of a solid and stable party system, Mexico’s political history since the Revolution has been marked by a remarkable balance of power between civilians and the military, an absence of military coups against the established political order and the general lack of strong personalist leaders. The PRI was founded in 1929 by President Plutarco Elías Calles (as the PRN, it became the PRM in 1938 and took its present name in 1946) as a means of entrenching the political power and dominance of the revolutionary elites and ‘institutionalizing’ the goals of the Revolution. What these revolutionary goals were in practice is another matter, given the complex web of factions which fought in the Revolution and the different interpretations of the Revolution’s actual goal. However, the Revolution’s general goal could be described as nationalist, anti-clerical and vaguely leftist (in a non-Marxist and probably non-socialist way). But assigning an ideology to the PRI, at any time in its history, is almost certainly a terrible idea. The PRI was born and remains a party of power, following an eclectic, opportunistic and pragmatic approach to governance and politics. The PRI has tended more to the left than to the right, and it is a member of the Socialist International, but the descriptors left or right do not do justice for a party of power such as the PRI. The PRI must be understood first and foremost as a hegemonic all-encompassing political machine which, between 1929 and 2000, was interchangeable with the state. The PRI entrenched its political dominance of the country by playing the carrot and the stick, shrewdly balancing repression with concessions and enticements of various sorts to potential rivals and opponents. It built up its remarkable dominance through a corporatist alliance composed largely of the industrial working-class and the rural peasantry. But to cement its dominance, the PRI knew how to placate both sectors without conceding too much but also how to play both of them against one another, preventing an alliance between the urban worker and the rural peasant which, in Latin America, usually threatened the established ruling order. From this system, Mexico has retained a corporatist union structure, with unions historically tied to the PRI and historically dependent on it. Politically, the PRI was a state-party like few if any other political parties in Latin America. Most parties in Latin Americahave tended to be the personal vehicles of a caudillo-politician or at best a small group of powerful personalities, which are shaped and driven by with their leaders and usually live and die with them. The PRI as an all-encompassing, hegemonic but non-personalist political party is thus quite unique inLatin America. The PRI has certainly had its powerful personalities, but the PRI cannot be said to have been shaped and driven by a particular one of these personalities. Between 1929 and 1988, Mexico was practically a single-party state. But not quite: the PRI allowed for a semblance of democracy and electoral competition and did not ban outright all opposition parties. In practice, however, with its control of the state apparatus at all levels and through use of vote rigging, the PRI was the only relevant political force. It invariably controlled the presidency, held almost all seats in Congress, controlled all state governorships and governed almost all municipalities. The PRI paid lip service to democracy and turned federalism into a farce. One of the things which set the PRI apart from all other political parties in Latin Americawas how it tended, as a party, to be above the change of leadership in the presidential palace. The President served his six-year term, and during this term he could count on the subservience and absolute loyalty of the entire PRI and its cohorts of elected officials. At the end of his term, the President, in conjunction with PRI bosses, handpicked his chosen successor (a process known as the dedazo) who went on to win the for-show-only election easily. It was then expected that the ex-President would bow out of politics and remain silent. Thus, the PRI proved above individuals who succeeded one another in power. The PRI taken as a whole hardly had (or has) a solid, consistent ideology to speak of, but individual PRI presidents have shifted the pendulum from left to right and back again. In 1934, Calles placed a local governor, Lázaro Cárdenas, on the throne with the hopes of using him as his tool. Instead, Cárdenas turned out to become one of Mexico’s most well-known and popular leaders, in addition to being one of Mexico’s most left-wing rulers in its history. Cárdenas’ landmark measures – a major agrarian reform which distributed land to cooperative settlements and landless peasants, the nationalization of Mexican oil reserves and the creation of a public oil monopoly (Pemex) – turned him overnight into a nationalist and left-wing hero in Mexico. But Cárdenas proved to be the exception rather than the rule for the PRI. His successors could be aptly described as conservative (if not reactionary) statist kleptocrats. The 1950s and 1960s were the PRI’s heyday. In these years, the import-substitution model allowed for the development of a strong domestic market, a growing economy, industrialization and social stability in the context of the all-encompassing priista leviathan. However, the first dents in the PRI’s machine were dealt in 1968, under the presidency of Gustavo Díaz Ordaz. With the summer Olympics as a backdrop, the government faced major student protests, which it bloodily put down in the October 1968 Tlatelolco massacre. The 1968 massacre could be considered as the first crack in a long and painful series of cracks which finally led to the crumbling of the PRI machine. His two successors – Luis Echevarría (the man behind Tlatelolco) and José López Portillo – could be considered as more or less left-leaning presidents, but in large part they continued the priista tradition of corruption, graft, patronage, wasteful binge spending and clumsy statist economic policies (fixed exchange rate, subsidies on food, state-owned monopolies, inflationary fiscal policies). All this meant that the Mexican economy would be quickly beset by a series of problems: rising inflation, ballooning deficits, a balance of payments deficit, shortfalls in the output of basic foodstuffs, an overvalued exchange rate (which the government was forced to devalue in 1976) and an economic dependence on oil. A mini-oil boom under López Portillo allowed for an artificial survival until 1982, when the economy collapsed under the weight of rising inflation, falling oil prices and high interests. 1982 marked a turning point for the PRI, which started turning away from its statist traditions and embraced economic liberalism (of sorts). In 1982, López Portillo was succeeded by an Harvard-trained technocrat, Miguel de la Madrid, who immediately implemented austerity measures (strings attached to an IMF bailout) and a program of economic liberalization (privatizations, knocking down old tariff walls). These policies did not succeed in getting Mexico out of the ditch; in fact they created a deep recession and burgeoning social discontent (albeit not on a mass scale). In their use of the dedazo, successive PRI presidents had usually been careful in allowing the balance to swing back and forth between the PRI’s left and right, as to not alienate any particular constituency. However, in 1988, de la Madrid’s pick of Carlos Salinas, another unpopular right-wing technocrat, led to the first major crack in the PRI coalition and signaled the beginning of the end for the priista machine. In the past, the PRI’s main also-ran partisan rival had been the National Action Party (Partido Acción Nacional, PAN), a small right-wing and fairly clerical party which had been kicking since 1939, obviously without success. In the 1988 election, the PRI now faced serious competition to its left, in the person of Cuauhtémoc Cárdenas, the son of Lázaro Cárdenas and the leader of the PRI’s left. Cárdenas ran an exceptionally strong campaign to the PRI’s left, posing the first real threat to the PRI’s hegemony over Mexican politics. Ultimately, Salinaswon the 1988 election, though perhaps only because the government’s computer system used to count the votes mysteriously broke down (se cayó el sistema) and shockingly proclaimed the PRI candidate as the winner when it reopened.Salinas continued his predecessor’s policy of liberalization, with an aggressive privatization policy which lined the pockets of his friends, but most notably with Mexico’s integration into the North American Free Trade Agreement (NAFTA) in 1992. Salinaswas succeeded by Ernesto Zedillo, a more centrist figure, in 1994. Zedillo immediately faced a major economic collapse as investors fled the country, fearful of an overvalued peso. The new government was forced to devalue the peso and seek the United States’ financial assistance. At the same time, the country faced growing unrest. In January 1994, an uprising in the poor southern state of Chiapasled by Zapatistas shook the country’s stability (though the EZLN never threatened the government’s stability) and drug cartel violence in the north of the country became more preeminent. Zedillo sped up and completed the slow democratization of the country. He created an electoral commission and electoral tribunal independent from the state (PRI) apparatus, a ground-breaking move which led to the PRI’s slow demise. In the 1997 midterm elections, the PRI lost its absolute majority in Congress. Ahead of the 2000 presidential election, Zedillo and the PRI did away with the dedazo and created an open primary contest between four candidates. The 2000 election ushered in one of the most important political realignments in Mexican history. For the first time since its creation, the PRI lost the presidency to another party. The victor was Vicente Fox of the right-wing PAN. Fox’ election was accompanied by a wave of enthusiasm and optimism at home and abroad, hoping that the political sea change would lead to major changes and reforms in Mexico and finally assert Mexico as a twenty-first century liberal democracy. Fox proved to be a fairly popular and mildly successful president, but his sexenio was not the success that he and others had hoped it would be. Economic growth during his six-year term was fairly slow, worn down by Chinese competition after Mexico joined the WTO. Mexicans faced the tough realities of democratic pluralism. The PAN’s efforts at reforms were held back, in part, by a divided Congress (the PAN, unlike the PRI between 1929 and 1997, lacked an absolute majority) and more powerful state governors who affirmed their power and influence. In 2006, political cards were shifted around one more time. In the PAN primaries, it was an ‘old-timer’ (historic members of the party, as opposed to people like Fox who are more recent members), Felipe Calderón, who came out on top over Fox’s protégé, Santiago Creel. The PRI chose the worst candidate it possibly could: the unpopular party boss, Roberto Madrazo, who was despised by half the party (most significantly the very powerful boss of the teachers’ union) and a lot of voters. Madrazo’s campaign, never strong to begin with, collapsed into a distant third place as a lot of regional PRI bosses, most of whom loathed Madrazo, supported one of the other candidates: the PAN’s Calderón or the candidate of the left-wing PRD, Mexico Citymayor Andrés Manuel López Obrador (AMLO). The 2006 election was extremely polarized between clear ideological opposites, left and right. AMLO led a rabble-rousing populist, nationalist and staunchly left-wing campaign which won him comparisons toBolivia’s Evo Morales andVenezuela’s Hugo Chávez. Some of his proposals worried Mexican middle-classes, but AMLO, a remarkable ‘messianic’ politician, carried a strong appeal to a lot of poorer, downtrodden voters in southern and central Mexico. The result was extremely narrow: Calderón won with 35.9% in the end, but AMLO trailed him by a very tight margin, with 35.3% (Madrazo won 22.3%). AMLO subsequently refused to endorse the legitimacy of the election and took to calling himself the ‘legitimate’ president and blocked a major artery in Mexico Citywith humongous protests after the election. AMLO’s attitude after the election proved quite controversial and ended up being a political liability for him. His refusal to recognize what was deemed by all to be a fair election and the legitimacy of institutions scared off a lot of more middle-class voters, and his shenanigans eventually cost him a lot of public support and seriously weakened him. Calderón’s sexenio will most likely be remembered for the war against the drug cartels, which has claimed upwards of 55,000 lives in 6 years and given Mexico (somewhat unfairly) a bad rap as a lawless war zone. Drug cartels are nothing new in Mexico, and lawlessness in certain parts of the country is not a recent development either. What is new is the dramatic increase in the murder rate in Mexico, which has nearly doubled under Calderón’s presidency; and the use of kidnappings, hangings, beheadings and mutilations of bodies by drug lords. Calderón, in part as a political ploy to give his presidency legitimacy after the 2006 election, deployed the army and declared all-out war on drug lords, the drug cartels and the drug trafficking empire in general. Crowned by some successes at first, Calderón’s war on drugs has grown increasingly unpopular. Voters are wary of bloodshed, they distrust the army and police (both institutions are somewhat corrupt and in parts infiltrated by the cartels, but the idea that the army and police are in cahoots with the cartels is a foreign fantasy) while the drug lords do not fear the army. Calderón’s efforts are, arguably, laudable and courageous, but he was attacking a problem which is way above the state’s head with limited means. The drug trafficking and the drug trade cannot, realistically, be eliminated. The drug cartels and the turf wars between cartels, similarly, are probably too big for the government to eliminate completely. It must also be pointed out that there are wide regional disparities in the impact of the drug war in Mexico. The situation in the country as a whole is not quite as dramatic as foreign media would have us think: the country as a whole is not a huge war zone, and Mexico’s homicide rate is not (by any stretch) the highest in the world (Brazil and South Africahave higher homicide rates). The northern states, specifically Chihuahua and the border town of Ciudad Juárez, are lawless war zones with some of the highest homicide rates in the world. 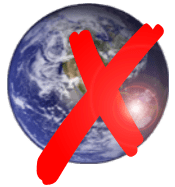 On the other hand, Mexico City and most of the south of the country and the Yucatan have been spared the worst of the violence and criminality. Mexico’s economic outlook is not that bad when compared to some Eurozone countries, but there is frustration about the slow pace of economic growth since the 2009 recession and high levels of unemployment. Mexico’s economic growth recently slowed down to about 3.5% or so, and predictions portend similarly slow growth in the next few years. Mexico faces a great many challenges, besides the drug cartel crisis and the international issues of economic growth and jobs. One of the key issues concerns the future of energy and the oil industry in Mexico, which remains in the hands of Pemex, the state-owned oil and gas monopoly. Pemex, through the royalties and taxes it pays to the federal government, is a major source of revenue for the government. However, these outflows of revenue have left Pemex saddled in heaps and heaps of debt, hence making it unable to invest in new technologies and further exploration (to speak nothing of the corruption in Pemex). Added to Pemex’s woes is the fact that Mexican oil production has declined quite dramatically in recent years, which in the long run could threaten to turn Mexico into an energy importer. Pemex remains something of a sacred cow in Mexican politics, with a lot of constituencies in the PRD and PRI holding out attachment to Pemex as a public monopoly. However, the question of private investment in Pemex has become a major and pressing political issue. Calderón and Fox both tried and failed to make significant reforms in Pemex, blocked by the PRD and/or the PRI’s congressional opposition. Calderón was able to push through a mini-reform, which allows Pemex to hire private and foreign firms to explore and produce, but private investment remains forbidden. Education is another key question in Mexican politics. The public education system in Mexico is largely acknowledged to be a complete and utter mess, in large part because of the muscle and influence of the main teachers’ union, the SNTE, a corrupt but extremely powerful union led by La Maestra – Elba Esther Gordillo. Most of the state spending on education goes towards paying teacher salaries – a lot of those salaries are paid, in reality, to union officials and their friends who aren’t teachers but still receive a teachers’ salary without working. Successive governments, most recently Calderón, have tried to put in place some quality measurements for teachers to help fix the problem, but in almost all cases they have found their efforts frustrated by the SNTE and forced to maintain a status-quo viciously defended by the SNTE and La Maestra. The SNTE, formerly one of the unions allied to the PRI in the old corporatist structure, has deep political influence. It now controls a little political party and a wider caucus of congressmen are close to La Maestra. Politicians and presidents know better than to cross La Maestra (who holds grudges), preferring instead to keep her on their side and prevent a confrontation. The SNTE thus has the power to block almost all major attempts at education reform in Mexico. The PAN is pretty clearly a right-wing, conservative party, especially in the Mexican context. The PAN is not really a clerical or religious party, though it has a clerical history and that tradition probably informs, in part, the PAN’s staunch social conservatism. In economic terms, while the PAN does have certain liberal leanings, certainly more than the two other parties, true-blue economic liberalism (or neoliberalism) is hard to find in Mexican politics. The PAN still has some Christian left influences which leads the party to have some sympathies towards more interventionist economic policies. In a way, the PAN could be described as being slightly Gaullist or Peronist in its attitude towards economic interventionism. The PRI, now as in the past, cannot really be placed consistently at any point along the ideological spectrum. It is particularly amusing to see the foreign media’s attempts at assigning ideological labels to the PRI: some have described it as centre-right, others as centre-left, some as ‘pro-business’ and others as left-wing. The PRI’s political orientation, deep down, has not really changed since 2000. Its first goal remains political power, and to win it, the PRI is a master at pragmatism, opportunism, equivocation and speaking in platitudes. One could say that the PRI’s right-wing neoliberal phase of the 1980s and 1990s is definitely history, because the ‘technocrats’ and business have (in part) decamped to the PAN (as some had started doing by the 1970s), but the PRI still remains a fairly pro-business party (and its relations with business leaders are still quite good). If one insists on a label, I guess ‘centre-left’ might be the least worst guess, but assigning an ideology to the PRI is a foolish idea. Mexico’s ‘third’ major party is the Party of the Democratic Revolution (Partido de la Revolución Democrática, PRD). The PRD was founded in 1989 by Cuauhtémoc Cárdenas (and others), the left-wing candidate in the 1988 presidential election. As a party, the PRD was an alliance of two factions. On the one hand, the priista left, whose ranks included Cuauhtémoc Cárdenas but also Andrés Manuel López Obrador (AMLO); and the other hand a handful of small old left-wing parties (including the Communist Party) which sacrificed their electoral registration to the PRD. Between 1988 and 2006, the main figure of the PRD remained Cuauhtémoc Cárdenas, who ran unsuccessfully for the presidency in 1994 and 2000 (winning 16.5% both years, placing third). Internal divisions and power squabbles heightened after the 2006 election, with a fair number of the PRD’s cadres eventually disapproving of AMLO’s antics. The PRD was increasingly divided between pro and anti-lopezobradorista factions. The latter faction, led by Jesús Ortega, eventually won a very bloody and acrimonious internal contest in 2008. More recently, the most important schism of sorts within the PRD has been between AMLO and Marcelo Ebrard, the outgoing mayor of Mexico City who succeeded AMLO as mayor in 2006. Ebrard was fairly neutral or pro-AMLO in the 2008 battle, but, benefiting from his popularity in Mexico City, he has emerged as a major rival to AMLO’s leadership of the PRD. The two men represent two different visions of the PRD. AMLO remains an old style Latin American leftist, with nationalist and left-populist close to that of Morales or Chávez. Ebrard, on the other hand, certainly gives the image of a more ‘modern’ left-wing leader, more social democratic or at least closer to the ‘moderate’ leftists ofSouth America: Dilma, Lula or Cristina Kirchner. On social issues such as gay marriage or abortion, AMLO remains closer to the traditional social conservatism of Mexican politics on those issues while Ebrard is socially liberal – he legalized gay marriage in the DF as mayor. There are four other registered political parties – three of which are basically affiliated with larger parties. Parties must win over 2% of the vote in an election to maintain their registration or else they lose all their registration (but they may reregister) and the financial advantages that come with it. Therefore, while small parties are useful commodities, they are tough to maintain so there is a very big incentive for the small parties to ally quasi-eternally with one of the big three in order to be kept on life support, vitam aeternam. The only fairly independent minor party is the New Alliance (Nueva Alianza, PANAL), founded in 2005. PANAL is hard to define or pin down ideologically. On the one hand, it certainly does give the impression (superficially?) of being a centre-right liberal party, which is both liberal on social/moral issues (abortion, gay rights, drug legalization – which are all quite out of sync with the overwhelming social conservatism of Mexican politics) and on economic issues (favouring private investment in Pemex and energy). But on the other hand, the party was basically created in 2005 by La Maestra herself after her very public break with Madrazo and the PRI, and in the 2006 election she used PANAL as a front for her campaign of destruction against Madrazo. PANAL appears to have a liberal front, but in the shadows it seems like it is nothing more than a personal vehicle for La Maestra and the SNTE’s various vendettas against the politicians who have dared cross La Maestra. The Mexican Greens (Partido Verde Ecologista de México, PVEM) are a bit of an oddball party. At the crux of it all, the PVEM is not a green party – it is a family business. The PVEM was founded in 1986 by Jorge González Torres, a former priista and a wealthy businessman. In 2001, he was succeeded by his son, Jorge Emilio González Martínez (el niño verde). The PVEM doesn’t seem to actually care about the environment or such matters, an attitude which, combined with its conservatism (it supports the death penalty), has won it the enmity of international green organizations (the Global Greens). The PVEM has also gotten mixed up in a few corruption scandals. 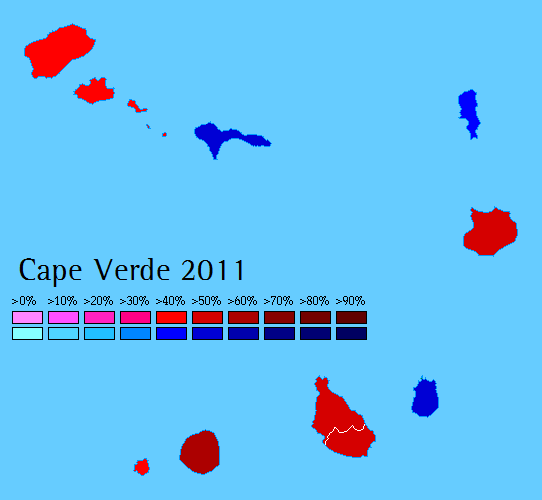 Most significantly, el niño verde was shown being bribed by a developer in Cancún (a major tourist resort on the Riviera Maya). 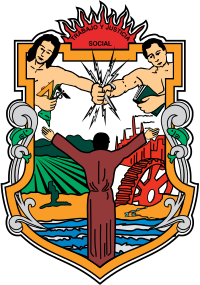 In 2000, the PVEM allied with the PAN, but it broke this alliance in 2003 and since then it has been a fairly loyal ally of the PRI (to the point where, 9 years later, the PVEM is indistinguishable from the PRI). The two other small parties – the Labour Party (Partido del Trabajo, PT) and the Citizens’ Movement (Movimiento Ciudadano, MC) – are similarly so closely connected to the PRD that they are, in everyday practice, basically indistinguishable from the PRD. I don’t know much about both parties in detail. The PT appears to be a fairly far-left party, probably to the PRD’s left, while the MC – the old Convergencia – appears to be more social democratic. In almost all cases, the PT and MC are fairly solid allies of the PRD. In the 2008-2009 PRD civil war, both the PT and Convergencia were solidly lopezobradorista and AMLO backed PT and Convergencia candidates in the 2009 midterm elections. The 2012 presidential contest is, after all, not that interesting. Unlike the very closely disputed and polarized 2006 election and the protracted mess which ensued, this year’s presidential election is almost won in advance. The frontrunner, who has led in basically every poll for over a year, is the priista candidate, Enrique Peña Nieto. After the priista rout in the 2006 election, Peña Nieto, the young and handsome governor of the state of México (Edomex, the most populated state in the country after the DF) between 2005 and 2011, became the figure of the PRI’s reconstruction. Peña Nieto is a wealthy career politician, whose father was a PRI stalwart for years and whose uncle was his predecessor as governor (Arturo Montiel, the leader of the anti-Madrazo faction in 2006). He does not appear to be a particularly talented politician and he has often been dismissed as an intellectual lightweight (but Mexican politicians have rarely been the sharpest knives), but he has proven to be a very successful campaigner and something of a Teflon politician. Some people have compared him to Ken Barbie. In a way, I find that this is a fitting portrayal of Peña Nieto. In terms of personality, Peña Nieto is a fairly young, handsome and charismatic man with a womanizer macho style which isn’t entirely a disadvantage in Mexico. His first wife died in 2007 – he had already been cheating on her and fathered two children out of wedlock – but he married Angélica Rivera, a popular soap opera star in a flashy prince-and-princess Disney wedding in 2010. Mexico doesn’t have royalty, but its politicians often act as pop royalty. In this way, Peña Nieto has been something of a pop star since 2005 and the political impact of his good looks should not be laughed off. His whole political career, including his tenure as Governor of Edomex, has been carefully staged and managed. In fact, nobody really knows who he is as a politician or statesman. His record in Edomex seems to be mixed, neither a disaster nor a great success; and how successful his tenure was is clouded by the fact that he has the media behemoth Televisa in his pocket and shockingly receives rave reviews and heaps of praise in Televisa’s political reporting. A good part of his governorship was spent performing staged photo-ops and fulfilling micro-promises (building a road here, doing something else there). At any rate, his chosen successor as governor in Edomex won a landslide in the state elections last year. Peña Nieto faces three other rivals. The PAN candidate, Josefina Vázquez Mota, is the first woman candidate for a major party in Mexico. She is not very well known when compared to her two major opponents. A PAN parliamentarian, she served as Secretary of Education between 2006 and 2009 under Calderón. Her confrontation with La Maestra and the SNTE probably cost her that job. Vázquez Mota won the PAN primary on February 5, taking 53% of the vote against 39% for Ernesto Cordero, the Secretary of Finance and Public Credit, backed by President Calderón and only 6% for Santiago Creel. A retread from 2006, Andrés Manuel López Obrador – AMLO – is running for a second time for the PRD. The PRD’s nomination – which was decided by a series of opinion polls commissioned by the party – was closely disputed between Marcelo Ebrard, the mayor of Mexico City and the unofficial leader of the PRD’s more social democratic/social liberal factions, and AMLO. In the end, AMLO came out ahead of Ebrard, who graciously accepted his defeat. It may be that Ebrard is looking ahead to the next elections, in 2018, and understood that AMLO would probably have run any way (with the PT and MC) if he didn’t get the PRD’s nomination. AMLO has expressed regrets for his post-electoral shenanigans six years ago, and has attempted to reinvent himself as a more moderate, centrist and consensual figure (he has said that he would not raise taxes or scrap existing private oil contracts). But despite attempts at rebranding himself, AMLO remains a controversial and polarizing love-or-hate figure. Critics contend that AMLO and his version of the Mexican left remain far too mired in the old nationalism and statism of the 1970s and have been unable to present themselves as an acceptable option for middle-class voters. The fourth candidate is Gabriel Quadri de la Torre, an economist and environmentalist who was drafted by PANAL after the party broke off a short-lived alliance with the PRI. Quadri is running a right-wing campaign (by Mexican standards), proposing to privatize 49% of Pemex and favouring a trade deal withChina. On social issues – drugs, gay rights, abortion – he is very liberal (and left-wing) by Mexican standards, but economic matters usually trump moral questions in Mexican politics. I’m not sure what La Maestra is doing with him, or what she has planned, but it is quite possible that she, as always, is using Quadri’s liberal image as a vote-winning front to allow PANAL to keep its registration. Peña Nieto might be an intellectual lightweight and a mediocre politician, but the reality is that he will likely win on July 1 by a comfortable margin. In part, the PRI’s resurgence after the 2006 rout speaks volumes about the weakness of the PAN and the PRD. Vázquez Mota is a weak candidate and she ran a very poor campaign, hesitating between emphasizing the incumbent government’s successes or attempting to define herself as somehow different from her own party. She has chosen to emphasize herself as ‘different’ – in fact she made that word her campaign slogan – but it has not really worked. She is a fairly low-caliber candidate, and she doesn’t really stack up to charismatic giants like AMLO and Peña Nieto. The incumbent government and President Calderón are not extremely unpopular, but there is a general fatigue with the PAN after twelve years of rather uninspiring governance which failed to live up to the great hopes which accompanied the PAN’s original victory in 2000. The drug cartel war has claimed lots of lives and Mexicans are tired of so much bloodshed. Jobs are hard to come by and the economy remains fairly weak. There has not been a lot of progress in rooting out corruption since 2000. A lot of voters think the country is on the wrong track, and they are tired with PAN. Vázquez Mota being forced to define herself as ‘different’ than her predecessors highlights the nature of the climate which the PAN faces this year. She has attempted to run as something of an anti-PRI candidate, both against Peña Nieto but also AMLO who is a former priista himself. On the other hand, AMLO’s problem is not that he is a low caliber candidate or anything of that kind. He is a very strong campaigner and a charismatic – a lot have described him as messianic – rabble-rouser. His problem is that, despite a very strong base of support, he remains a controversial and polarizing figure with high negative ratings. His supporters would argue that AMLO is a forceful spokesperson for Mexico’s marginalized impoverished masses and a powerful opponent of the ‘neoliberal order’. His opponents would argue that AMLO is a dangerous radical, a sore loser who has little respect for democratic institutions and probably a grubby power-hungry leader. AMLO is a former priista and he is certainly not immune from using the PRI’s old tactics and for a lot of his critics, his real goal is the recreation of the PRI’s old semi-authoritarian political machine. After all, one of AMLO’s main allies and a PRD candidate for Senate this year is Manuel Bartlett, the former priista interior secretary who was behind the famous se cayó el sistema in the 1988 election. AMLO is a love-hate figure, regardless of his slightly goofy attempts at a ‘peace ‘n love’ rebranding this year. Even though AMLO ran a strong campaign and his likely second-place finish will show how he has been able to lift the PRD back out of the abyss it was in back in 2009, I would contend that AMLO is probably unelectable in the wider realm of things. Even faced with the potential return of the priista dinosaurs, a lot of panistas will never vote for AMLO even as a devil you know or least worst option. Faced with a PRI resurgence in a lot of state elections in 2009, 2010 and 2011; the PAN and PRD – ideological opposites – allied against the PRI in a lot of state elections and, in a few places, its alliances were pretty successful. Such an alliance at the top level would have been much more difficult, but it would have been the only way to stop the PRI. Marcelo Ebrard, despite a social liberalism which could cause the PAN’s Catholics to run away, would probably have been able to give Peña Nieto a race for his money. Ebrard is viewed by PAN voters as an acceptable anti-priista option, and if he had been nominated over AMLO, it is quite possible that a lot of panistas would have voted strategically for him to stop the PRI, even in the absence of a formal PAN-PRD deal. But it would unfair to style the PRI’s likely victory as a win-by-default. Peña Nieto must certainly have done something correctly. As mentioned above, his image and personality works in his favour. He has good looks, a pop star wife and he is charismatic. His image has been carefully groomed and managed, and he has – with two exceptions – avoided major faux-pas. He ran into trouble only back in December at a book fair in Guadalajara (where he could not cite three books which had had the biggest influence on him), a PR disaster worsened by a tweet from his 15-year old daughter who branded those who criticized her father as jealous proletarian idiots; and more recently in May at a university in Mexico City when he was heckled by anti-PRI student (whom he branded as lopezobradorista left-wing stooges). Otherwise, he has been a great Ken Barbie candidate – image perfect, clean and brushed up. His campaign has certainly not been big on the details of what he would do as President, meaning that we’re probably no closer to knowing what a Peña Nieto presidency would be like than we were six months ago. He has run on platitudes, vague catch phrases and open-ended promises. His main creed is an “efficient state”, which can mean just about anything. He has proposed a few things like a tax reform, mini political reforms to increase presidential powers, or universal social security. He would not do a full 360 from Calderón’s drug policy, but he would likely soften it a bit and shift gears to focus on reducing violence and kidnappings while being more lenient on drug cartel civil wars and the drug trade. He has, however, shown himself surprisingly keen on a major energy reform which would open Pemex to competition and partial private investment (in shale oil and gas, refining and petrochemicals). The very high chance of a priista return to Los Pinos 12 years after its 71-year stranglehold on power ended has sparked major concerns and fears about the vitality of Mexican democracy in the future. A lot see Peña Nieto – the Ken Barbie candidate – as a little Barbie doll for the PRI’s infamous dinosaurs (old corrupt political bosses), who would return to power with a President Peña Nieto. Many fear that the old priista dinosaurs would come back, neuter democracy, and stifle the free press. I’m not sure, but fears of a major regression or anti-democratic reaction seem overblown. Mexico has changed a lot since the PRI lost power in 2000. Even though the PRI could very well hold a majority in Congress – it is likely to win one in the Senate and probably could win a majority in the Chamber too – and still controls the vast majority of Mexico’s 32 states, the political atmosphere is much more democratic. There is a very strong base of anti-priista sentiment in Mexico, which, even if it won’t prevail on July 1, is quite vocal. The #YoSoy132 student-led protests against the PRI and its cozy relations with Televisa are a good example of this. The judiciary is fairly powerful and certainly independent. Despite the allegations that Televisa and the PRI are in cahoots, the media is not entirely rigged in the PRI’s favour. Peña Nieto’s links with Televisa and old priista dinosaurs, including his predecessor in Edomex, Arturo Montiel (the guy who owned an unexplained property empire abroad) worry. But Peña Nieto, for all his faults, still seems closer to the new(er) brand of priista politicos groomed to operate in a democratic political setting. Being surrounded by American-educated technocrats, Peña Nieto is similar to the last PRI president, Ernesto Zedillo, a centrist technocrat who reformed the system and opened Mexico to real democracy. Furthermore, even if the PRI does win an absolute majority, a lot of the major reforms which the PRI will/could want to pass would be constitutional amendments requiring a two-thirds majority – hence it will still need the support of other parties, probably the PAN which could have some political interest in working with the PRI. In terms of polling, the last polls before the ‘reflection’ period which bans polls, gave Peña Nieto about 44-46% of the vote against 26-28% for AMLO and 22-25% for a hapless Vázquez Mota. Quadri performed well in the first televised debate, which boosted his numbers from irrelevance into 3-6% territory but he now polls 2-4%. The campaign was remarkably static. Peña Nieto maintained fairly large leads throughout, and despite a very slow downwards trend in the past few months, has always kept high polling numbers. AMLO moved ahead of Vázquez Mota, and the real fight here is probably for second place. Gubernatorial elections will be held in Chiapas (PRD), Guanajuato (PAN), Jalisco (PAN), Morelos (PAN), Tabasco (PRI) and Yucatan (PRI). The Federal District will also renew its head of government (mayor) and its legislative assembly. The PRI will certainly hold Yucatanvery easily and will probably fend off a tough PRD challenge in Tabasco, which has yet to elect a non-PRI governor. It also likely to pick up Jalisco, a state which the PAN has governed since 1995 (Vicente Fox was the first PAN Governor there). The PRI candidate in Jalisco is Aristóteles Sandoval, the young priista mayor of Guadalajara and a Peña Nieto look-alike. While the PAN should hold on in Guanajuato, which it has governed since 1991, it will almost certainly lose Morelos, which it has governed since 2000. The PRI and the PRD are fighting for the win. In Chiapas, however, the PRD will probably lose this state which was first won by a PAN-PRD alliance in 2000 and held by the PRD in 2006. The incumbent governor is, in reality, a peredista in name only – he’s a former priista and in this election he is backing Manuel Velasco, a PVEM senator (backed by the PRI) and son of a former PRI governor. Velasco is probably the favourite. In the DF, however, things are shaping up for a PRD landslide of epic proportions. The PRD has held the DF’s directly-elected head of government position since it was created in 1997 (Cuauhtémoc Cárdenas won in 1997, then AMLO in 2000 and Ebrard since 2006) but in 2006, Ebrard won with ‘only’ 46.4% of the vote. This year, the PRD’s candidate, Miguel Mancera, is polling nearly 60% in opinion polls. He will easily destroy Beatriz Paredes, the former secretary-general of the PRI who had placed third (21.6%) in the 2006 election in the DF. There has always been a wide political gulf between the fairly well-off, cosmopolitan and left-liberal metropolis of Mexico Cityand the rest of the country, but this year the gulf could become an ocean. While the rest of Mexico ‘moves backwards’ with a PRI president, the DF will elect a PRD mayor with a phenomenal margin. What this could mean in political terms for a President Peña Nieto and the PRI, I’m not too sure, but it will be a fairly significant event. These elections may not prove to be the most exciting elections in Mexican history, far from it, but they remain fairly significant elections in an important country. Their results may not surprise, but I feel as if this election will end up, when history is being written, as being fairly significant. Could these elections be the second alternance in a democratic Mexico since the PAN’s historic victory in 2000, or will they be the elections which set back the clock for Mexico? Firstly, I apologize for a big error in last day’s post: the Senate was not up for re-election, only the Chamber was. Anyways, these elections saw one of the largest victories for the formerly ruling PRI since the advent of real democracy in around 1988. The governing PAN had a bad night, but the very divided Mexican left (PRD) had an awful night. The PR seats haven’t been allocated yet, but here is what I’ve been seeing as to final composition with the PR seats. I’m not sure if they have broken down the PRI-PVEM common candidates in the FPTP vote by the party of the winning candidate, because I’ve also seen 21 for the Greens and 237 for PRI. I think they counted all PRI-PVEM common candidates as PRI. PRI+Greenies (PVEM) have an absolute majority (258), but if the Greenies, which is nothing more than an object to buy, put their votes up for sale and the non-PRI parties have a good price for the PVEM, then an anti-PRI coalition would be possible (though unworkable and useless). This election is comparable to the 2003 mid-terms or the 1997 mid-terms, both of which were won by the PRI. Though, as you can see, three years later, those victories turned into defeats (especially 2006). In state elections; the PRI has held Campeche, Colima, Nuevo León (fending off a strong PAN challenge in one of PAN’s historical bases). It has gained Querétaro and San Luis Potosí. However, it seems that Sonora has bucked the trend by dumping the incumbent PRI in favour of PAN. Overall, +1 net for the PRI and -1 for PAN. In the Federal District, the PRD has kept the absolute majority. Overall, the Lopezobradorista faction has emerged the strongest in the DF. For example, in Iztapalapa (discussed in the preview post), the PT candidate endorsed by Lopez Obrador won 31.2% against 22.1% for the PRD candidate (a member of the anti-Lopez faction). Mexico is holding mid-term elections today for half of the Mexican Congress – the Chamber of Deputies are up for re-election. In addition, there are a number of gubernatorial and state/local elections also being held. These are the first nationwide elections since the election of President Felipe Calderón in the disputed 2006 election. Mexico is ruled since 2000 by the conservative National Action Party (PAN), a social conservative Christian democratic-type party. It’s generally free market, but it doesn’t seem to place as much emphasis on economic liberalism compared to other conservative parties in the world. PAN was founded in 1939 and became one of the major opposition parties to the Institutional Revolution Party (PRI), Mexico’s ruling party and institution between 1929 and 2000. The PRI, despite the appearance (it’s a member of Socialist International), is not much of a left-wing party. It’s a collection of bureaucrats, technicians, power-hungry officials and family dynasties whose ideologies range from left-wing nationalist (Lázaro Cárdenas) to rightist NAFTA-IMF liberals (Carlos Salinas). Unlike other one-party states, Mexico between 1929 and 2000 was not a show party for an autocrat (like ARENA was for the military in Brazil) but rather a very structured official institution. The PRI made sure that no one person became too powerful and became the institution himself. For that reason, Mexican Presidents, despite having power similar to Obama’s power in the US, are elected for 6 years but they cannot run for re-election. Under the PRI system, the incumbent President chose his successor at the end. The PRI regime laid its foundations on a carefully-crafted and carefully-worked network of peasants, workers and “populars” (middle class). No left-wing opposition to the PRI was able to impose itself as viable alternative to the PRI’s omnipotence until 1988. In 1988, the labour unions, formerly a rather solid part of the PRI coalition, showed its displeasure with the choice of free-marketer Carlos Salinas as the PRI’s candidate. The party’s left, led by Cuauhtémoc Cárdenas, the son of President Lázaro Cárdenas (who governed on the left), formed the Party of the Democratic Revolution (PRD) with the support of the PRI’s left and smaller perennial left-wing groups such as the Mexican Communist Party (PCM). Unlike the PRI, the PRD can be classified as left-wing. It’s economically left-wing and quite liberal socially. The PRD declined after winning 31% in 1988 to around 15-20% of the vote. Until 2006, that is. In 2006, the PRI’s presidential candidate, Roberto Madrazo, was opposed by a large faction in the party which turned to the PRD candidate, Andrés Manuel López Obrador. As you all know, the PAN candidate, Felipe Calderón, won 35.89% of the vote against 35.31% for López Obrador. López Obrador never accepted the result and installed a parallel government. He built a Broad Progressive Front (FAP) with two smaller left-wing party, the Labour Party (PT) and Convergencia. Both the PT and Convergencia have grown closer to López Obrador. However, the PRD descended into open war between López Obrador’s United Left faction (the PRI’s old left) and the New Left faction (those who came from smaller left-wing non-PRI parties) opposed to him. The New Left’s candidate won the party’s chaotic leadership election, though the Lópezobradoristas control the PRD’s wing in Mexico City (a PRD stronghold). For example, in the capital city’s borough of Iztapalapa, the United Left candidate narrowly defeated the New Left candidate, though the electoral commish forced the PRD to name the New Leftist as candidate. López Obrador was rabid and endorsed the PT candidate. Not out of love for the candidate or the PT, he ordered the candidate to resign if elected so the Mayor of Mexico City (loyal, kind of, to the United Left) could appoint to United Left’s primary candidate. The official PRD leadership is now openly rabid too. They’ve made it heard that party members who support candidates of other parties are supposed to be expelled from the PRD. López is ready to go, with his supporters, if forced. Thereby destroying the party. The electoral situation in Iztapalapa is extremely confusing: it was too late to reprint ballot, so the United Left’s candidate will be on the ballot, but votes for her will go to the New Left PRD “official candidate”. Despite having her name on the ballot, if you want the United Left candidate, you should vote for the PT candidate who will resign in the hope that the Mayor will appoint the United Left candidate. Other parties include the nominally liberal New Alliance Party (PANAL), which is owned by the powerful teacher’s union and/or a former ally of Roberto Madrazo within the PRI; the Ecologist Greens (PVEM), a corrupt very right-wing green conservative party; and the Social Democratic Party (PSD), a socially liberal and economically centrist party. Now to the elections. The Chamber of Deputies has 500 members, 300 of which are elected in single-member electoral constituencies and the remaining 200 in a nationwide constituency using 2% proportional representation. Gubernatorial and state legislative elections are being held in Campeche (PRI incumbent), Colima (PRI), Nuevo León (PRI), Querétaro (PAN), San Luis Potosí (PAN), and Sonora (PRI). Local elections in the states of Guanajuato, Jalisco, México and Morelos. Also notable are the borough elections in the Federal District, and the confusing race in the borough of Iztapalapa between the PRD and PT (PRD).